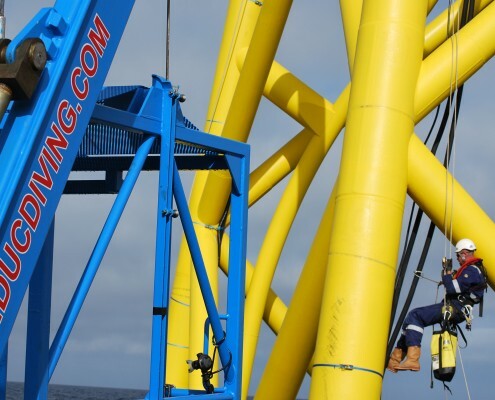 In the middle of August 2013 DUC Marine Group received a contract from RWE Innogy, for works on the offshore windfarm Nordsee Ost, located some 30 km North-East of the Island of Heligoland in the German Bight. 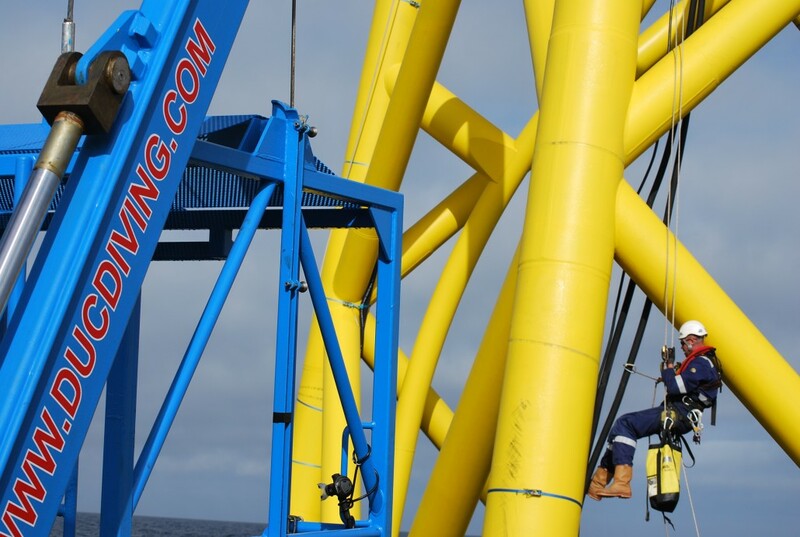 The contract comprised the removal of temporary grout and hydraulic lines, which were utilized during the installation of 49 offshore foundation jackets during the winter season in the North Sea. 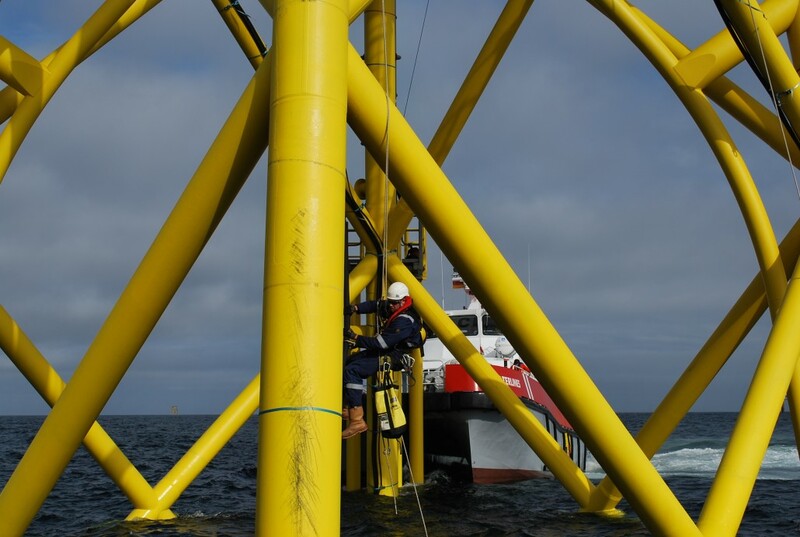 The jackets were installed for the later mounting of the 6 megawatt turbines. 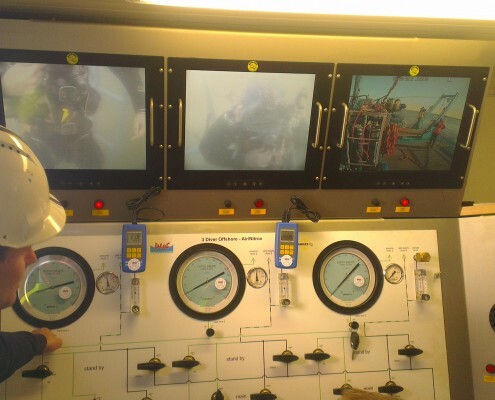 The hoses run from a service station at the top of the jacket (25 m above MSL), on the outside of the structure over the bracings to the foundation sleeves at the bottom (25 m below MSL). A typical jacket was fitted with 4 hydraulic lines and 8 grout lines. 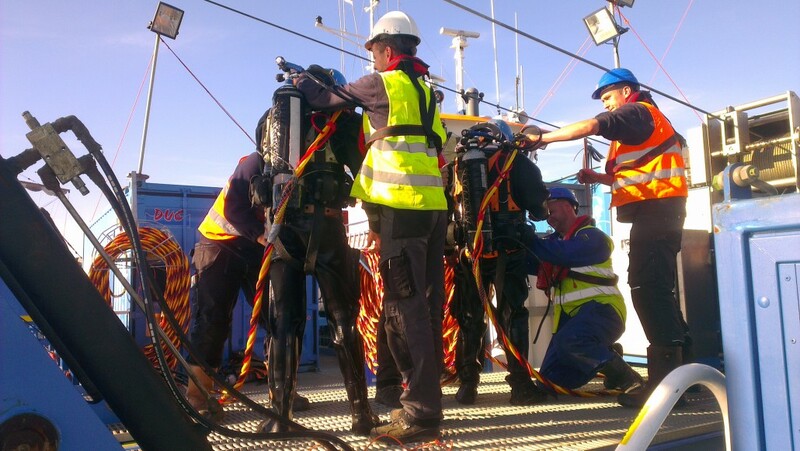 For the industrial climbing works DUC Marine Group teamed up with the Rope Access Group from the Netherlands. 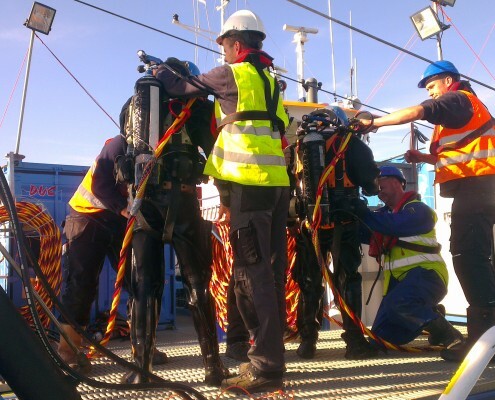 It proved to be a very fruitful partnership between DUC and the Rope Access Group teams, to be continued again. 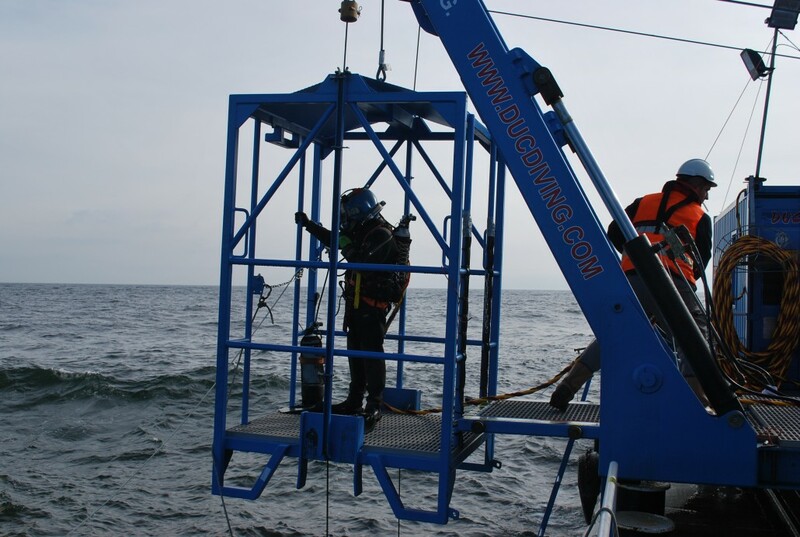 – A 10 m RIB with a SRS-system. Home port for the operations was the island of Heligoland. 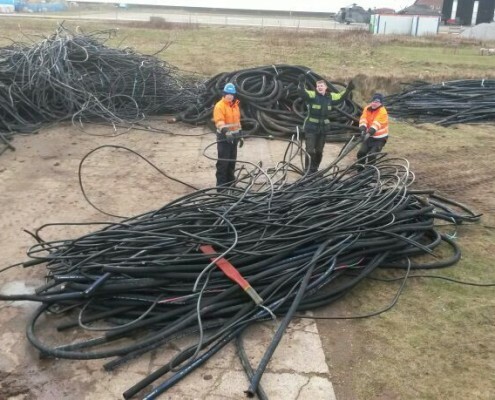 In the south-harbour a temporary stockpile was set up to store the removed hoses. Whenever possible, the dive support vessel stayed offshore and divers worked in 24-7 shifts, whereas the Rope Access team worked 12 hr shifts and sailed every day by CTV to and from Heligoland. The grout lines were left partly filled with grout. 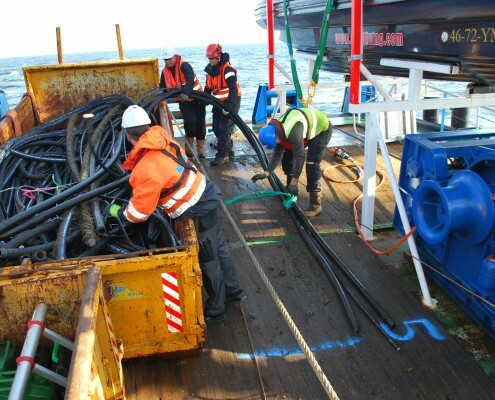 The hydraulic lines still contained hydraulic oil. 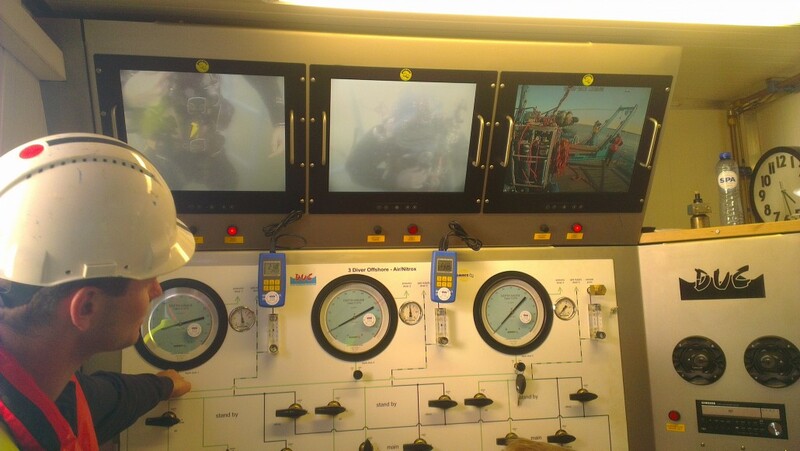 Before cutting the hydraulic lines all underwater valves had to be opened by the divers. The RAT-team flushed the lines with fresh water and detergent. All out coming fluids were collected and disposed. The service stations were then removed. 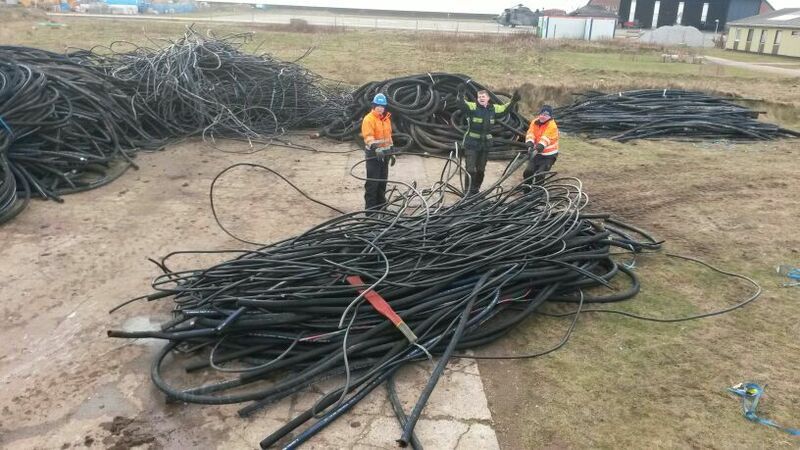 In total DUC had to remove some 28.4 km of hoses. 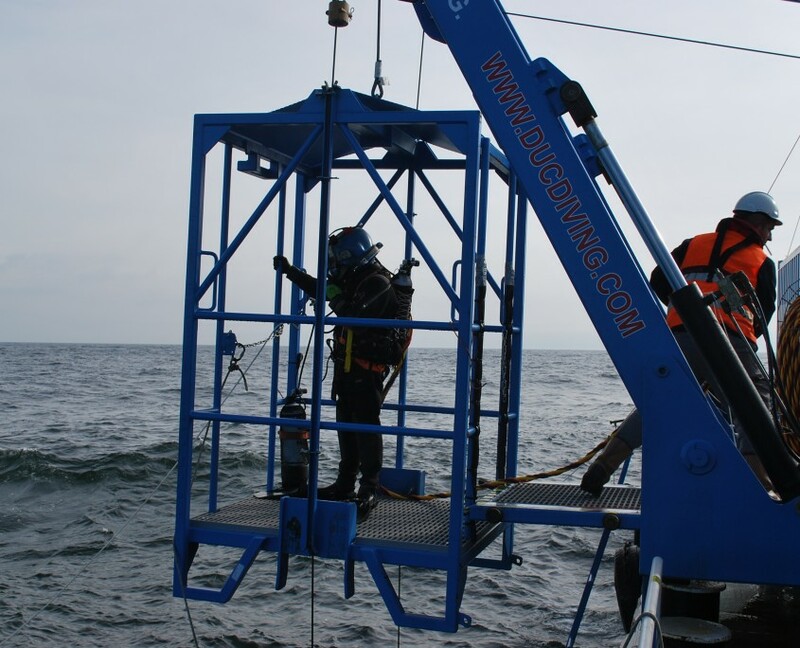 The divers and the RAT-team used special hydraulic tools to cut the lines in easy manageable lengths, which were then stored in skips onboard the dive support vessel. – Inspection – and repairs of gratings, railings etc. after recent storm damage. During the project the DUC fleet increased. 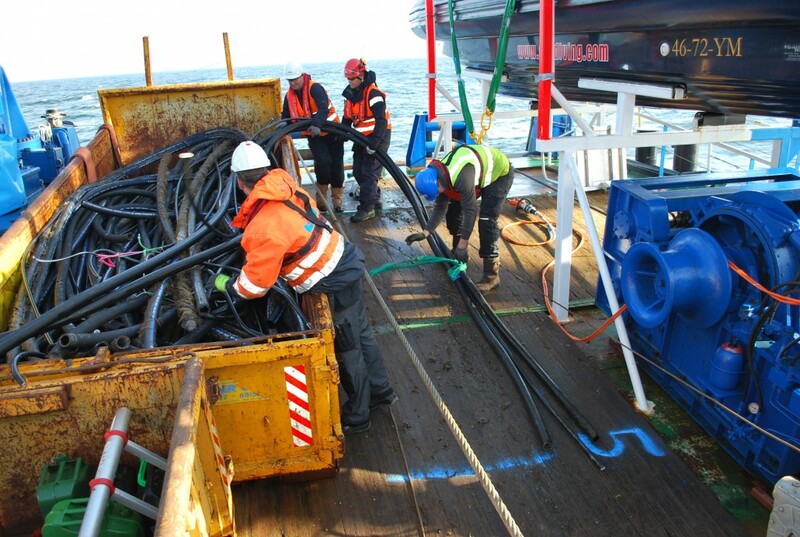 During the busiest period DUC was in Heligoland with two dive support vessels, two dive teams, three CTV’s, an anchor handling tug and two RAT-teams. Logistically, DUC Marine Group faced a lot of downtime due to inclement weather conditions during the winter working season. 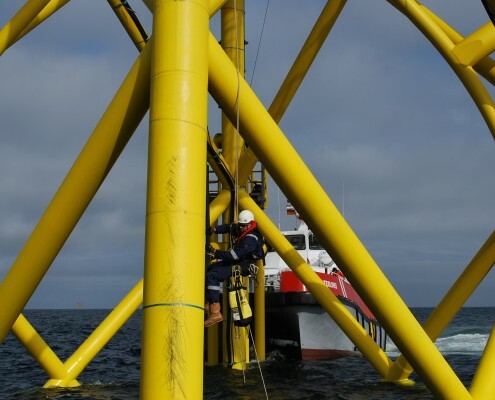 However the project was successfully completed in good time and much quicker than anticipated, without any injuries and to the full satisfaction of our client RWE Innogy.